. If there is one game that is loved by many people all over the world, it would be football. There is no doubt about that! The thought of picking up a bicycle and riding over to your closest stadium to watch a lively game to get your adrenaline running. 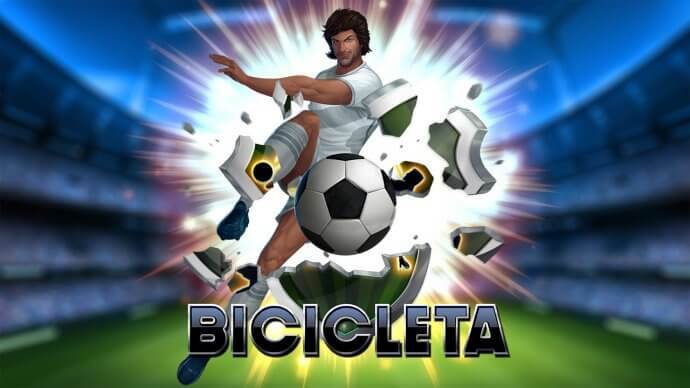 No, football is not everyone's favourite game, but the online slot game, Bicicleta, will get you searching for when the next match is about to play on your television. 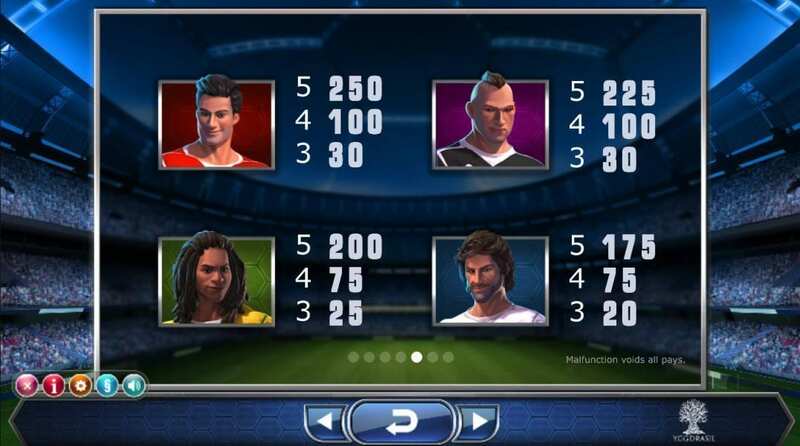 For more sporty games, click to see these slots online! Yggdrasil has done a fantastic job of capturing the player's attention with its intense graphics and smooth gameplay. And if you think that's not enough for you to sit at home and play Bicicleta for hours on end, then the high number of winnings that you can gain will certainly get you reaching your closest device and loading the game up on your screen! After developing and publishing many fantastic games like Vikings Go Beserk, Big Blox, and The Dark Joker Rises, Yggdrasil has become a competition that many iGaming developers should fear. The Former CEO of NetEnt has the iconic vision in mind to make every casino online game obsolete with every new product that Yggdrasil will put on the market. The amount of sharp graphics, clear audio, and glitchless gameplay that they put into their games such as Vikings Go Berserk and Empire Fortune is enough to stop playings doing their original tasks and turn on one of their games instantly! Don't think so? Why don't you carry on learning about how to play Bicicleta to find out how you can make big winnings on one of their slot games? Yggdrasil Gaming offers a range of games to suit all tastes and interests. You can learn more about online slots games right here at Wizard! Once you load Bicicleta up, the sound of cheering fans and the view of a football stadium will fill up your ears and eyes. If you're up for slots with amazing graphics, check out our list to discover more. The game board is pretty simple to manage. You'll see 5 reels spinning on the screen, the paytable shows you how much value each of the base and special symbols have, so you won't have to fret when you don't know what each icon will mean. And the game-play is pretty simple; a combination of 3 matching icons from left to right will get you some winnings, and make you want to shout out 'goal!' at the end of each spin! As you pretend that you're one of the most talented footballers in the industry today, you have to keep a sharp eye on the WILDS and SCATTERS that will come your way and help you hit the ball into the net. Bicicleta Icon WILD: When seen on any of the 5 reels, it replaces the base symbols and gives you the winning combo. This icon doesn't place another of the Trophy or Bonus SCATTERS. • Trophy SCATTER: When found on the 5th reel, you'll be rewarded up to 12 additional spins and an instant prize on any base round. Bonus SCATTERS: When you get 3, 4, or 5 black and white balls in a combination on your reels, you'll trigger 8, 16, or 24 free spins, which boost your chances of getting more wins. WILD Reel: Only activated when the Trophy SCATTER appears on the 5th reel, the footballers on the screen will score a goal and turn into WILDS on the 1st, 2nd, 3rd, and 4th reels. Sticky WILD: Activated by the Bonus SCATTERS, this symbol will stay in the same place until the free spins are over. 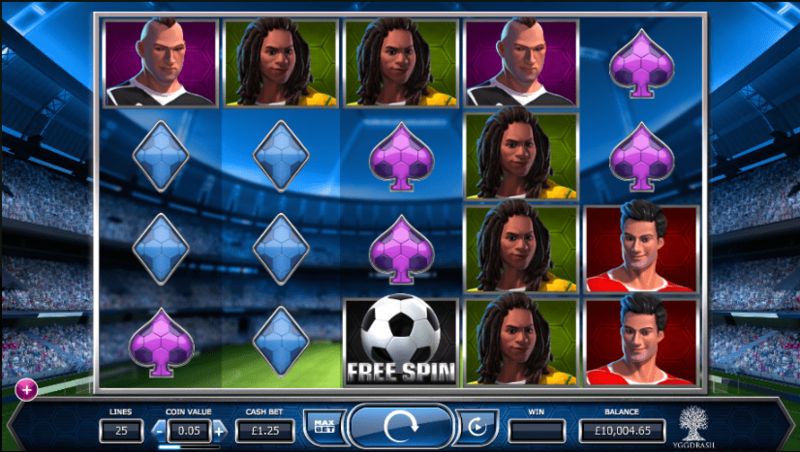 There are many casino games on the market that dabble into the theme of football, but there aren't a lot of games that have managed to be as successful as Bicicleta. Yggdrasil has achieved in making this online slot so vibrant and easy to play, as well as designing it in a way that gets the players gaining lots of big winnings at the end of each round.